It is hard to put oneself in the mindset of a Medieval pilgrim. The ability to travel, even just to the nearest big town, is a privilege I certainly take for granted. Watching Simon Reeve’s Pilgrimage documentary on BBC2, I was struck by his observation that pilgrimage was probably our Medieval ancestors’ one chance for adventure in life, and one chance to see what lay beyond their home town. The 3 part BBC series Pilgrimage began on 3rd December in the UK. Simon traced the footsteps of pilgrims of the past from Lindisfarne in Northumberland, to the Shrine of Thomas Beckett in Canterbury. 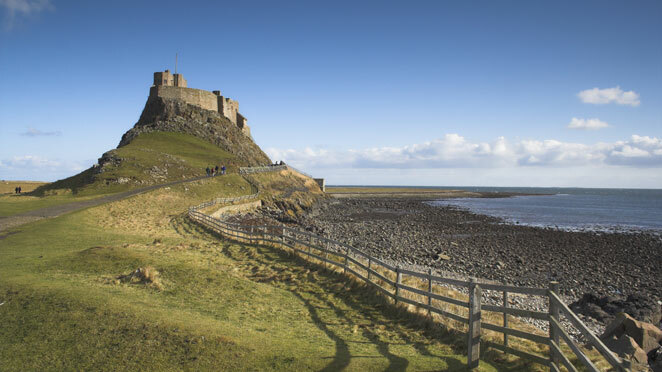 Lindisfarne, the first port of call on Simon’s 500 mile journey to Canterbury, is actually the final destination on the St Cuthbert’s Way UK pilgrimage. 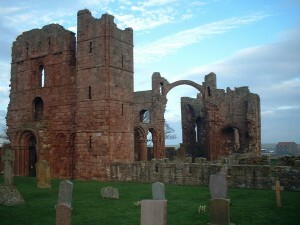 Simon explored why Lindisfarne was such a unique and meaningful spot for Christian pilgrimage, where the remains of the monastery (pictured) founded by Saint Aiden (and where Saint Cuthbert was Bishop) on the “Holy Island” are located. Simon took the traditional pilgrim’s way to Lindisfarne; on foot across the tidal sands and mud flats revealed at low tide. A route only to be taken by those confident and knowledgeable about the tides! Moving south, Lincoln Cathedral was an unexpected highlight. I’ll be honest, I wasn’t aware of Lincoln being such a fascinating town – one of the largest cities in the UK during medieval times, and the spectacular and vast cathedral itself was the tallest building in the world for over 200 years! That’s another town for the must-visit list. Walsingham in Norfolk provided the opportunity to explore the revival of the pilgrimage centre, as pilgrims flock to the town’s Catholic and Anglican shrines. Life itself is a pilgrimage, Simon is told, we are all striving to reach the end of the journey, confident that the end will bring fulfilment and understanding. 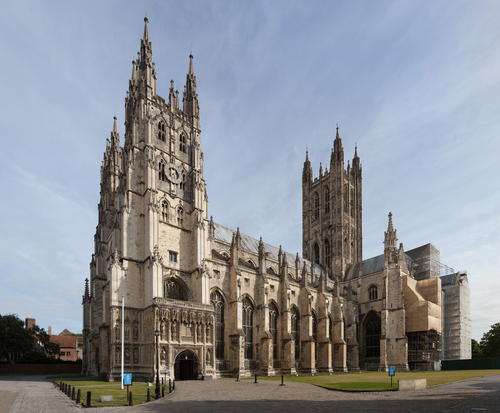 Simon’s goal was to reach Canterbury, and the shrine of Thomas Beckett. Moving through London, he delved into the darker side of ancient pilgrimage, when London was a hub of vice and temptation to the traveller with less-than-virtuous reasons for being away from home. Or perhaps the temptation was part of the test. Leaving London, Simon caught up with a pilgrim carrying a life-size cross (albeit with a wheel for some added mobility), and examined the draw of relics to the ancient (and modern) pilgrim, encountering a 700 year old cranium of a monk at an ancient monastery (macabre?). What struck a chord with me, was the true sense of walking in the footsteps of ancestors. The pilgrim’s way from Winchester to Canterbury is in actual fact a pre-historic traders’ route. People have been walking the route since pre-500BC, possibly even longer. “You’re going the wrong way” Simon called to a set of walkers heading in the direction of Winchester. “We’re on our way back” was the response. Now that’s a true ancient pilgrim’s experience. No plane, train, or automobile would have returned you home 700 years ago! 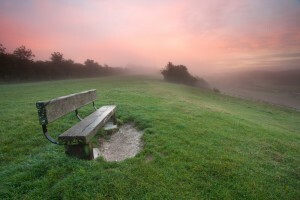 The North Downs Way parallels the old Pilgrims’ Way. With much of the old Pilgrims’ Way now main artery road, the North Downs Way offers more solitude (and less carbon emissions) than the older route, before reaching Canterbury and leading all the way to Dover. If you were as fascinated by this episode as we were, be inspired to try a UK Pilgrimage of your own. We look forward to episode 2, where Simon moves on to mainland Europe’s more famous Camino & Pilgrimage routes.